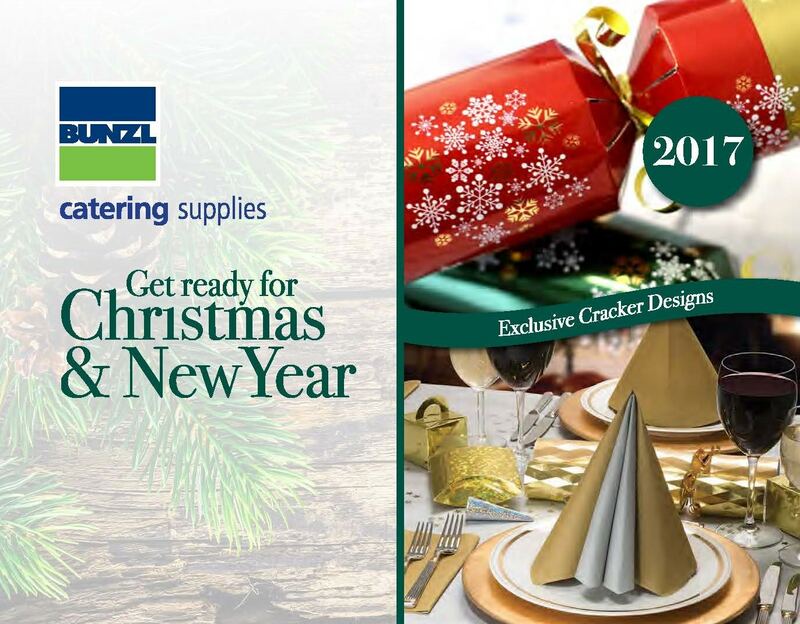 Bunzl Catering Supplies, the leading supplier of disposables, packaging and hygiene solutions to UK foodservice operators, has released its exclusive 2017 Christmas & New Year catalogue. The comprehensive, 33-page brochure features a huge range of crackers and matching napkins, including a luxury Champagne design and brand-new Christmas lines created specifically for kids. 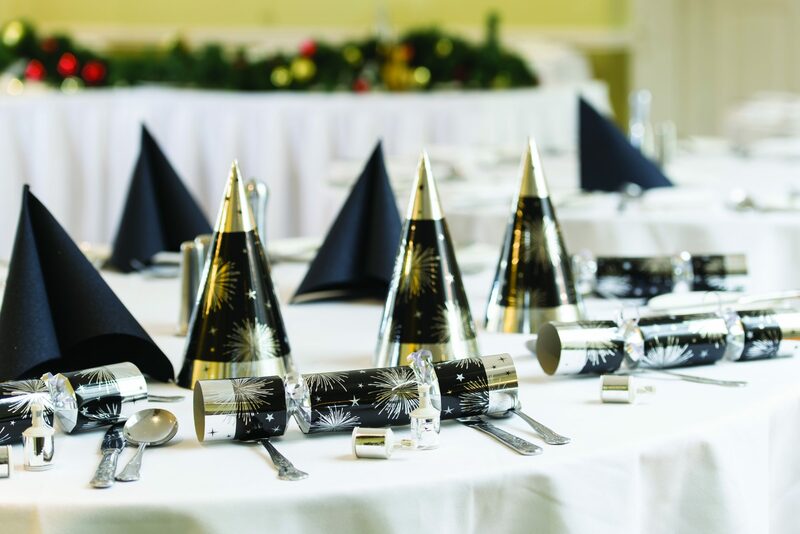 Tailored to suit all budgets and styles, our specially-selected collection is designed to provide catering operators with everything they need to make the Christmas dining experience memorable for their customers. 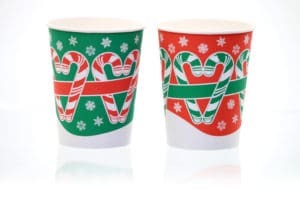 As well as a full array of crackers and napkins, it also includes Christmas-design hot cups and tableware, New Year party kits and accessories, and decorations and lights. Our broad range of crackers is an annual highlight of the Christmas & New Year catalogue, with the 2017 range being no exception. We offer a full suite of Christmas crackers, from budget to premium, with plenty of new additions that will appeal to kids. These include a Polar Bear, Snowman and Reindeer children’s cracker, with a gift content of assorted, fun paper puzzles, and craft baubles with pens, both perfect for keeping the kids busy while they wait for their food to arrive! In the 2017 Christmas & New Year catalogue you will also find a range of matching napkins with plain colours, including silver and gold, available to match our crackers. 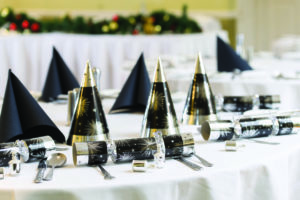 Customers will also be delighted by our Christmas-design tableware, some of which is exclusive to Bunzl. To cater for the trend of seasonally-themed disposables, the 2017 catalogue features our Christmas-design hot cups, exclusive to Bunzl. These are available in single-wall and double-wall options and are made in the UK from PEFC Chain of Custody Certified Board. The paper cups come in cases of 1,000, sized across 8/9oz and 10/12oz, with a white or black sip lid, the off-the-shelf Christmas-design hot cups help operators stand out from their competitors, without the need to commit to a bespoke print. The catalogue has been thoughtfully created to cater for a wide variety of budgets and dining environments and includes a vast selection of partyware, tableware, decorations and Christmas lighting. As part of our 2017 Christmas & New Year range, we are pleased to include an exciting choice of New Year party kits and accessories including party hats, balloons, novelties and tabletops, as well as Christmas decorations and lights. The festive holiday is the time to deck the halls, so we have designed our selection of Christmas decorations to come in natural, traditional and contemporary options, so there are plenty of options to choose from. Finally, our artificial Christmas trees, wreaths and garlands will bring the festive feel indoors without the need to clear up needles, and our catalogue gives you the opportunity to complete the look with our stunning ranges of indoor and outdoor lights. To view the new Christmas & New Year Catalogue click here. The restaurant and bar area of a hotel is at the heart of its service offer, providing a social space for relaxation, eating and drinks. In 2018, elements from the extremely popular Scandinavian trend form part of our collection of Christmas crackers, tableware and decorations. Displaying three new, off-the-shelf designs for 2018, our recently launched Festive design hot cups provide the perfect receptacle for seasonal beverages.